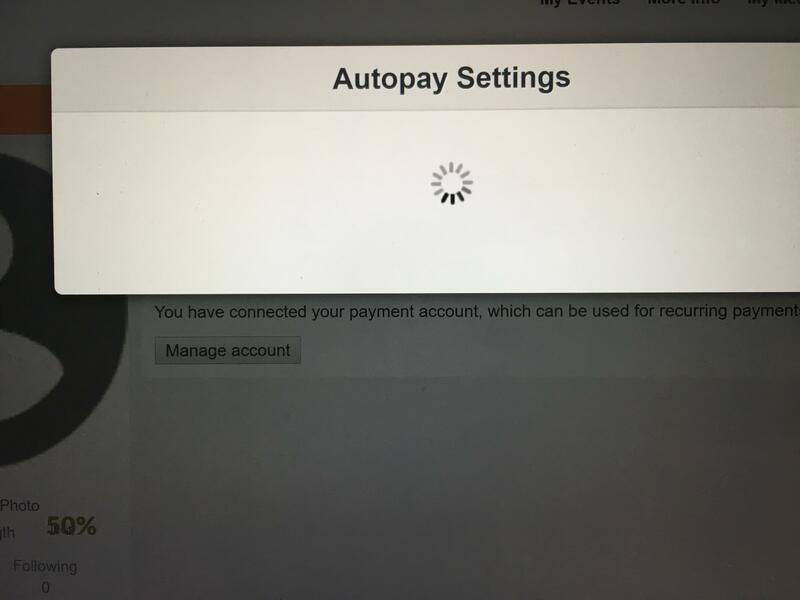 When you try to adjust your auto-pay settings OR press the Pay Online button, if the pop-up window does not open or continually loads (see image below) there are two common causes. 1. Poor Internet Connection - If your internet is spotty the payment window may not be able to fully load and you should wait until you have a stronger connection. 2. Internet Explorer - At this time we recommend using Chrome or Firefox when you are making payments. Certain versions of Internet Explorer can result in the payment pop-up window from opening.